MABAS DIVISION 5 BOX ALARM ON BOX #5-1440 FOR A STRUCTURE FIRE. MABAS DIVISION 19 EMS BOX ALARM ON BOX #200. MULTIPLE INJURIES FROM A DECK COLLAPSE IN THE BACKYARD OF A TWO-STORY HOUSE. STAGING AT 167TH ST AND BEVERLY AVE. MULTIPLE INJURY CRASH. THREE-AMBULANCE RESPONSE. NORTH MAIN AMB 1 MUTUAL AID. MABAS DIVISION 2 TECHNICAL RESCUE BOX FOR SOME TYPE OF STRUCTURAL COLLAPSE. GOOGLE MAP SHOWS NEWER CONSTRUCTION -- LOOKS LIKE SINGLE FAMILY RESIDENCES, NO GOOGLE STREET VIEW AVAILABLE. 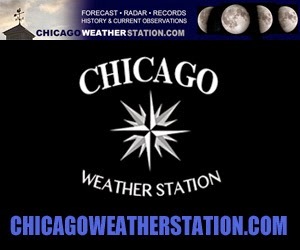 FORECAST FOR TODAY DID INDICATE POSSIBILITY OF TORNADOS (NWS STORM PREDICTION CENTER) AND MICROBURSTS (NWS CHICAGO OFFICE). THE TIMING OF THE INCIDENCE COINCIDES WITH A SEVERE THUNDERSTORM WARNING. BARTLETT, ELGIN, HANOVER PARK TRT RESPONDING. MULTIPLE TRAUMA FROM CRASH WITH 2009 HONDA SUV THAT WAS SOUTHBOUND ON ROUTE 45 (NORTH LAKE ST). VICTIM, ALEX BLOUCH, 16, OF GRAYSLAKE, WAS FOUND WITH A SKATEBOARD AND MP3 PLAYER NEARBY. ALEX BLOUCH WAS TRANSPORTED TO LEVEL I TRAUMA CENTER ADVOCATE CONDELL MEDICAL CENTER IN LIBERTYVILLE, WHERE HE WAS PRONOUNCED DEAD AT 12:19 AM. MABAS DIVISION 3 BOX ALARM ON BOX 21-F-625 AT ABOUT 8:00 PM. MABAS DIVISION 10 BOX ALARM ON BOX # ? ON THE ORDERS OF 506. MABAS DIVISION 7 BOX ALARM ON BOX #90-100 FOR A STRUCTURE FIRE. AMB 3 ENG 3 ENG 5 TRK 2, AND BC 4 ARE DUE FOR A ROLLOVER CRASH BY BARNABY'S. AMB 2 IS THE SECOND AMBULANCE DUE. TORCH USED FOR ROOF REPAIRS APPARENTLY SPARKED FIRE THAT DISPLACED A FAMILY. FIRE SHOWING THROUGH THE ROOF. DES PLAINES ENG 61 CHANGE OF QUARTERS. MABAS DIVISION 15 BOX 23-100 FOR A STRUCTURE FIRE AT ABOUT 7:47 PM. HOUSE FIRE STARTED OUT AS AN ATTIC FIRE. MINOOKA AUTO/AID. CTA TRIAIN LOST POWER ... EVACUATION HELD UP WHEN POWER WAS RESTORED. AMB 10, ENG 10, TWR 12, FLIGHT FOR LIFE ON SCENE FOR CAR VS TREE CRASH AT HUEHL ROAD AND COMMERCIAL AVENUE NORTHBROOK, IL. ONE MALE VICTIM WAS FOUND INJURED AND TRAPPED IN A MINIVAN AT THE SOUTHWEST CORNER OF THE INTERSECTION. VIDEO: EXTRICATION OPERATIONS AND FLIGHT FOR LIGHT TRANSFER AND TRANSPORT. REPORT OF AN OLDER MAN IN THE WATER WHO DOESN'T APPEAR TO BE ABLE TO SWIM WITH A CIVILIAN RESCUE ATTEMPTED BY THROWING HIM A LIFE PRESERVER. SEVERAL CIVILIANS TRYING TO HELP AT THE FAR NORTHEAST TIP OF NAVY PIER AND OBSERVED ON CAMERA AT THE OFFICE OF EMERGENCY MANAGEMENT & COMMUNICATIONS. 6-8-8 ON SCENE WITH 6-8-7 (SCUBA TEAM) PULLING UP. 6-8-8 PULLING VICTIM ONTO THE BOAT AND BRINGING VICTIM TO THE AMBULANCE STANDING BY AT THE CTA TURN-AROUND. SQD 1 ALSO ON THE SCENE. AIR-SEA RESCUE HELICOPTERS 6-8-2 RETURNED. CFD PULLED THE ONLY VICTIM -- A MALE -- OUT OF LAKE MICHIGAN. PATIENT TRANSPORTED ADVANCED LIFE SUPPORT TO NWMH. APPEARS HE MAY HAVE JUMPED. LUXURY HOME ON FIRE. LADDER TO THE ROOF. TENDERS FROM LONG GROVE (TANKER 55) AND PROSPECT HEIGHTS (TANKER 9) RESPONDING. NORTHWEST CENTRAL DISPATCH HAVING TROUBLE COMMUNICATING WITH IFERN FREQUENCY. BOX ALARM #36-1 FOR A STRUCTURE FIRE. STAGING IS ELA RD SOUTH OF PALATINE ROAD. 3RD ALARM AT 5:44 PM. POLICE ASSISTANCE REQUESTED FOR TRAFFIC CONTROL. HAZMAT 5-1-1 RESPONDING FROM ENG 122'S DISTRICT. THE INCIDENT IS ONGOING SINCE ABOUT 7:00 AM WHEN THE ODOR WAS FIRST REPORTED. THE HAZMAT TEAM WAS CALLED IN ABOUT 10:55 AM. Level I has been secured. Nothing was found. They believe it may have been a garbage truck that leaked while driving on lower wacker. ENG ON ARRIVAL REPORTS HIGH CO READING OF 1000 PPM, BLDG EVACUATED. GAS-POWERED POWER WASHER WAS BEING USED INSIDE THE BASEMENT. OSHA standards prohibit worker exposure to more than 50 PPM (parts of the gas per million parts of air) averaged during an 8-hour time period. Law requires C0 detectors in all Chicago homes. Fortunately this building had detectors and 911 was called before it was too late! The chosen IDLH is based on the statement by Patty  that a 1-hour exposure to 1,000 to 1,200 ppm would cause unpleasant, but no dangerous symptoms [Henderson et al. 1921]. Patty  also reported that 1,500 to 2,000 ppm might be a dangerous concentration for an exposure of 1 hour [Henderson et al. 1921]. Patty FA, ed. . Industrial hygiene and toxicology. 2nd rev. ed. Vol. II. Toxicology. New York, NY: Interscience Publishers, Inc., p. 930. Henderson Y, Haggard HW, Teague MC, Prince AL, Wunderlich RM . Physiological effects of automobile exhaust gas and standards of ventilation for brief exposures. IV. Concordance of the standard here proposed with the observations of other investigators. J Ind Hyg III(4):137-146. NRC . Emergency and continuous exposure guidance levels for selected airborne contaminants. Vol. 7. Ammonia, hydrogen chloride, lithium bromide, and toluene. Washington, DC: National Academy Press, Committee on Toxicology, Board on Toxicology and Environmental Health Hazards, Commission on Life Sciences, National Research Council, pp. 17-38. MABAS DIVISION 19 FOR BOX NUMBER 500-37NORTH FOR A STRUCTURE FIRE. ENTIRE ROOF BLOWN OFF INTO THE FRONT YARD, AND HOUSE FULLY-INVOLVED. CHANGE OF QUARTERS: TROY AMBULANCE, ORLAND ENGINE, ROMEOVILLE TRUCK, PLAINFIELD TENDER. JAMES J. BORG, BURN VICTIM FOUND OUTSIDE THE BURNING HOUSE WITH BURNS ON 70 PERCENT OF HIS BODY. BORG IS THE BOYFRIEND OF MISSING WOMAN, ANNE GAY, 52, AND HAS BEEN A PERSON OF INTEREST IN HER MISSING PERSON CASE, ACCORDING TO DEPUTY CHIEF KENNETH KAUPAS, WILL COUNTY SHERIFF'S OFFICE. A DOG SURVIVED, AND WAS FOUND IN THE RUBBLE IN ITS DOG HOUSE. THE FIRE IS INVESTIGATED AS ARSON WITH THE GAS LINE TO THE DRYER APPEARING TO HAVE BEEN TAMPERED, CUT AND OPEN -- WITH THE VALVE WIDE OPEN. MABAS DIVISION 20 BOX #100 FOR A GARAGE FIRE. HIGH VOLTAGE LINE DOWN AT THE REAR OF THE RESIDENTIAL GARAGE. BC 13 CALLS FOR EMS PLAN 1 FOR T-BONE CRASH AT THE INTERSECTION AT ABOUT 11:37 PM. POLICE PURSUIT/OFFENDING VEHICLE HIT TWO CARS AT INTERSECTION. ONE OF THE VICTIM VEHICLES THEN HIT A CTA BUS. SQD 2, AMB 34, AMB 15, AND AMB 42 DUE BEFORE THE PLAN 1 WAS ORDERED. ALL VICTIMS OUT EXCEPT FOR ONE BY ABOUT 11:43 PM. SIX VICTIMS TOTAL. FINAL VICTIM OUT OF HE CAR ABOUT 11:50 PM. ONE FATAL (FEMALE AGE 35), FOUR NON-LIFE-THREATENING (INCLUDING OFFENDER), AND ONE MEDICAL REFUSAL. ONE OF THE CRASHED VEHICLES WAS INVOLVED IN A POLICE PURSUIT AFTER THE OFFENDER FLED FROM A SHOOTING IN THE 100 BLOCK OF SPRINGFIELD AVENUE ABOUT ONE MILE SOUTH OF THE CRASH SCENE. THE SHOOTING WAS REPORTED ABOUT 11:30 PM. CORRECTED ADDRESS OF CRASH SCENE: 800 NORTH PULASKI ROAD. EMS PLAN 1 SECURED AT ABOUT 11:56 PM. MULTIPLE FRAMES 2.5-STORY 25X60 BURNING (CLOSE SPACING). VIDEO: Squad 5A snorkel operations and ladder operation by Tower 39 and Truck 18 on South Union Avenue in Chicago (SRResquire). WORKING FIRE AT 10:05 AM. MULTIPLE INJURIES AND VEHICLE WITH HEAVY DAMAGE. FIRE ENGINE REPORTED ON FIRE ON THE WESTBOUND RIGHT SHOULDER. AGENCY OF THE FIRE ENGINE UNKNOWN. BIG ROCK AMBULANCE ALSO RESPONDING WITH KANE COUNTY SHERIFF AND ILLINOIS STATE POLICE. GARAGE FIRE STARTED AS A CAR FIRE. MABAS DIVISION 4 LIFE SAFETY BOX 19-37 FOR A MULTI-INJURY CRASH ON ORDERS OF GURNEE BC 1303 AT ABOUT 11:05 AM. INITIALLY REPORTED AS POSSIBLY TWO PERSONS TRAPPED. REPORT OF 16 PATIENTS WITH MULTIPLE VEHICLES INVOLVED IN CRASH. POSSIBLY FOURTEEN HOSPITAL TRANSPORTS TO MULTIPLE HOSPITALS (MOST TO CONDELL). THE CRASH INVOLVED THREE SUVS, TWO PASSENGER CARS AND A SEMI-TRAILER TRUCK. I-94 AT 9.5 NB MILE MARKER -- STAGING NORTH OF THIS LOCATION. DUE WITH AMBULANCES: WAUKEGAN, LAKE VILLA, NEWPORT, COUNTRYSIDE, BEACH PARK, ROUND LAKE, LAKE FOREST, LAKE ZURICH, AND HIGHLAND PARK. BOX STRUCK OUT AT ABOUT 11:33 AM. CAR FIRE WITH EXPOSURE TO A HOUSE. GARAGE ROOF CAUGHT FIRE FROM CAR PARKED ON DRIVEWAY. MABAS DIVISION 4 BOX 36-2 FOR A STRUCTURE FIRE. REPORT OF FIRE SHOWING FROM THE ROOF. REPORT OF INTERIOR WALL COLLAPSE. ALGONQUIN, HOFFMAN ESTATES AND LAKE ZURICH DUE WITH ENGINES. BARTLETT, NUNDA TOWNSHIP AND WAUCONDA DUE WITH TENDERS. PALATINE DUE WITH A TRUCK. ARLINGTON HEIGHTS DUE WITH EMS. CHIEFS DUE FROM FOX RIVER GROVE, LAKE ZURICH AND LONG GROVE. SPECIAL REQUEST FOR MESS CANTEEN. CHANGE OF QUARTERS: HANOVER PARK AMBULANCE, ROLLING MEADOWS AMBULANCE, WHEELING ENGINE. STAGING IS AT BARRINGTON ROAD AND TERRA VITA DRIVE. CRYSTAL LAKE, RUTLAND-DUNDEE, AND SOUTH ELGIN. Severe thunderstorms moved from southwest to northeast on Tuesday around noon when lightning is suspected to have struck a large luxury home near Barrington Road and Algonquin Road in South Barrington (See four images of radar from 10:00 a.m. to 1:00 p.m. Tuesday). CRASH WITH TWO VEHICLES IN THE DITCH. ENG 10 REPORTS FOUR CAR CRASH ALL UPRIGHT WITH ALL LANES BLOCKED AND ACCESS TO THE SHOULDER. TWO CARS IN A DITCH ... ALL VEHICLES UPRIGHT. BC 11 REPORTS ONE INJURED. MULTIPLE INJURIES IN A CRASH ON THE NORTHBOUND (INBOUND) DAN RYAN EXPRESSWAY. CRASH INVOLVED A LIMO, TRUCK AND AT LEAST TWO CARS. THREE CODE RED, ONE CODE YELLOW, SIX TREATED AND DECLINED TRANSPORT. SECURED ABOUT 7:40 PM. MABAS DIVISION 3 BOX ALARM 3-1111 FOR A STRUCTURE FIRE. FIRST DUE ENG 11, ENG 10, TWR 12, TRK 29, AMB 11, BC 11, 1101 FOR A REPORT OF A FIRE ON A THIRD FLOOR BALCONY. ENG 11 REPORTS SMOKE SHOWING FROM TWO SIDES OF THE THIRD FLOOR OF A THREE-STORY MULTI-FAMILY UNIT.